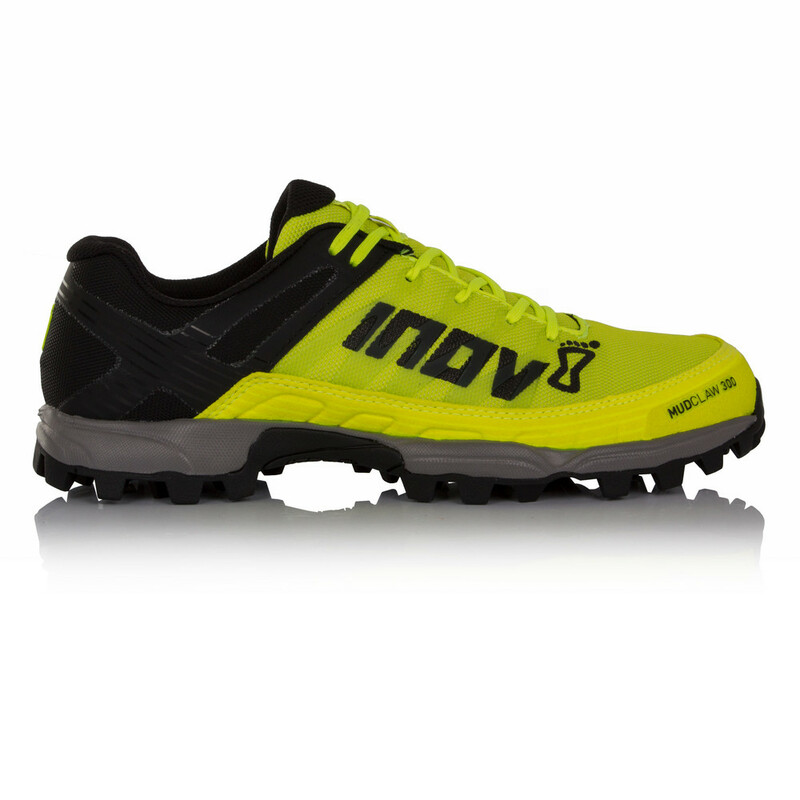 Due to manufacturer's restrictions we are unable to ship Inov8 products to Great Britain. "just as good as the last pair"
"Great grip in mud and in the snow. Really comfortable on these first two runs." 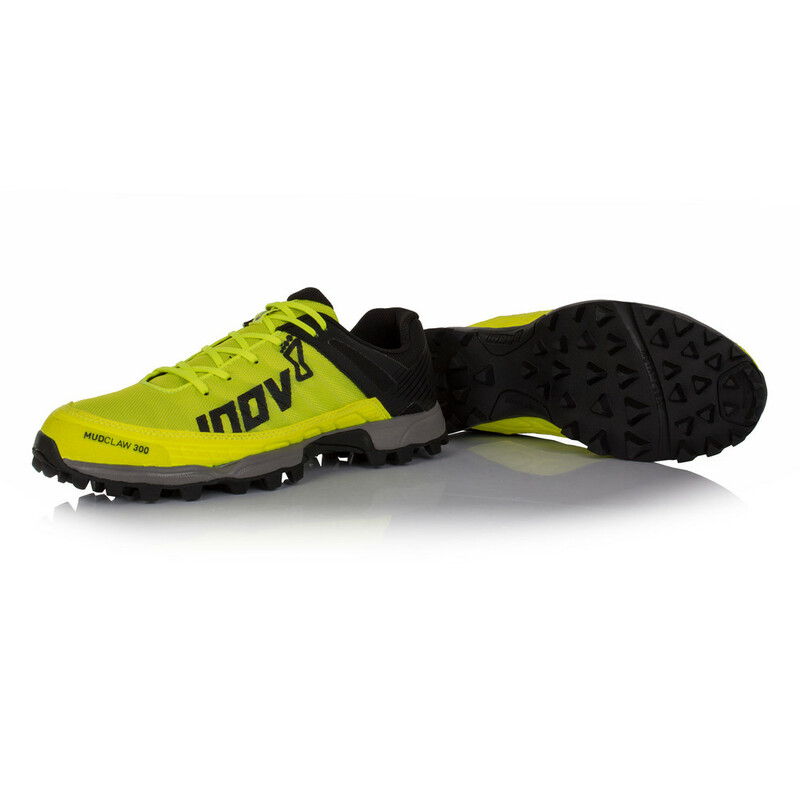 Inov8's precision fit offers a close-fitting heel that locks the shoe in position, whilst a wider toe box allows the toes to splay when running naturally or lifting weights. Precision fit suits those who like a tighter and more secure fit allowing the runner to focus on the activities ahead. Sporting a fusion of technical trail technologies unified into one sleek, aggressive upper the Mudclaw 300 epitomises what an off road shoe should be. The new generation upper has undergone design tweaks to yield improved responsiveness and flexibility for greater comfort and now features a gusseted tongue to lock out the trail debris that invariably tries to penetrate through to the interior of the shoe. Supporting the midfoot and securing lockdown the Mudcaw 300 utilises Met Cradle™ design. The upper webbing support on the shoe is anatomically positioned to cradle the fore foot behind the metatarsal heads and provide a secure foot hold. Giving you greater stability and control whilst traversing the evolving environment underfoot. Added strength materialises in a rugged upper format, a durable synthetic wrap straddles the lower sections of the shoe protecting from scuffs and bumps the trail dishes out. Utilising a blend of industry standard EVA foam the Mudclaw 300 delivers reliable underfoot shock attenuation for greater comfort over the miles. 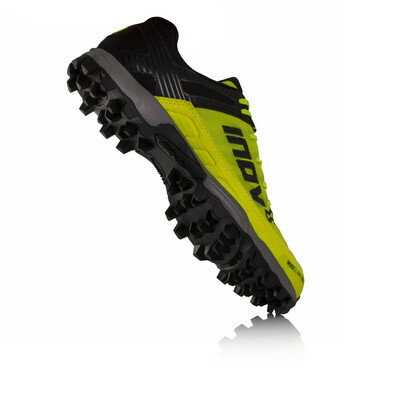 Integrated within the midsole construction the mudclaw 300 features Inov-8's 1st generation Meta-Shank - The 3-finger polymer Meta-Shank aligns behind the metatarsals for greater forefoot flexibility and control when contouring, whilst retaining underfoot impact protection. 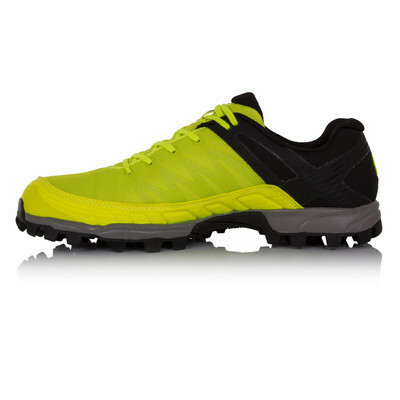 This design makes the Mudclaw 300 a great choice for those that want to retain a degree of cushioning whilst utilising proprioception an underfoot feel. Grip, and then some. The Mudclaw 300 utilises a myriad of design innovation, the product of the amalgamation of dual compounds working in concert to deliver an outsole that performs on the widest range of trails imaginable. The Dual-C outsole is comprised of a harder sticky rubber and a softer sticky rubber. The harder compound is present in the high wear areas of the outsole, where durability is key to to performance of the shoe as time inevitably presses on. The softer compound is integrated everywhere else to ensure optimal traction across an array of surfaces. The new season outsole delivers considerably more ground contact with a redesigned form that sits lower the ground delivering more confidence with every stride. The heel height sits slightly lower that the old model which will assist with relieving pressure around the Achilles tendon. Forming the trail biting traction the Mudclaw 300 utilises multi-direction lugs of Inov-8' own design. Providing optimal traction when climbing, descending and contouring. The direction of the 8mm lugs has been dictated by the foots natural movement during situations where grip is essential. Founded in 2003, Inov8 is one of the world's leading all terrain footwear, apparel and equipment brands. Operating in over 60 countries, they pride themselves on designing high quality, innovative products in both the running and performance training sectors. Inov8's origins and footprints remain firmly etched into the muddy British fells but over the years they have optimised their products to meet the needs of the many terrains people have travelled. 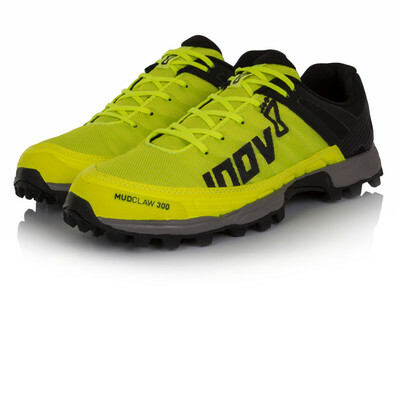 Those who use Inov8 products seek fearlessness, adventure and to discover their edge. Now under the ownership of Descente - a Japanese sportswear maker with an 80-year history of craftsmanship and excellence - and with Inov8 founder Wayne Edy still at the heart of product innovation, the future is packed with exciting possibilities. Redesigned Upper - Offers enhanced flexibility and comfort on the trail whilst retaining formidable durability. Met-Cradle - The upper webbing support in Inov8's footwear is anatomically positioned to cradle the fore foot behind the metatarsal heads and provide a secure foot hold. Gusseted Tongue - Locks out trail debris from penetrating through the inner of the shoe. EVA Midsole - Provides lightweight cushioning and comfort. Meta-Shank - 3-finger polymer Meta-Shank aligns behind the metatarsals for greater forefoot flexibility and control when contouring, whilst retaining underfoot impact protection. Dual-C Outsole - Made up of two types of sticky rubber, the Dual-C outsole provides optimal traction across a myriad of surfaces. 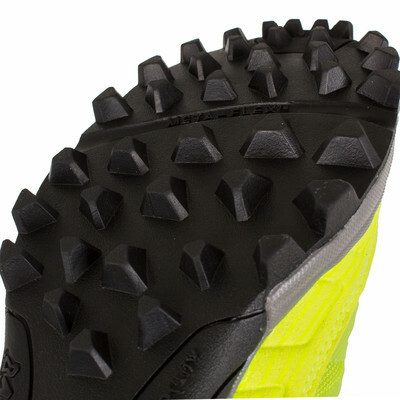 8mm Lug Depth - For maximum traction. Precision Fit - Offers a close-fitting heel that locks the shoe in position, while the forefoot is also close fitting. 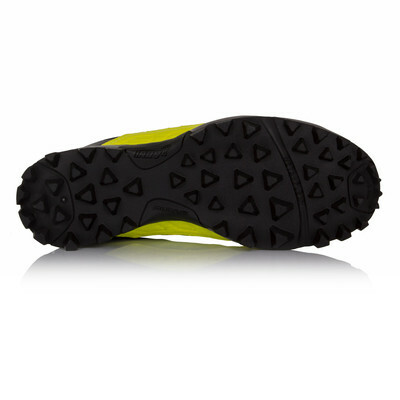 This all-round precise fit ensures minimal internal movement when running on all terrains. Precision fit suits those with a narrower forefoot and athletes using the product for short sessions.